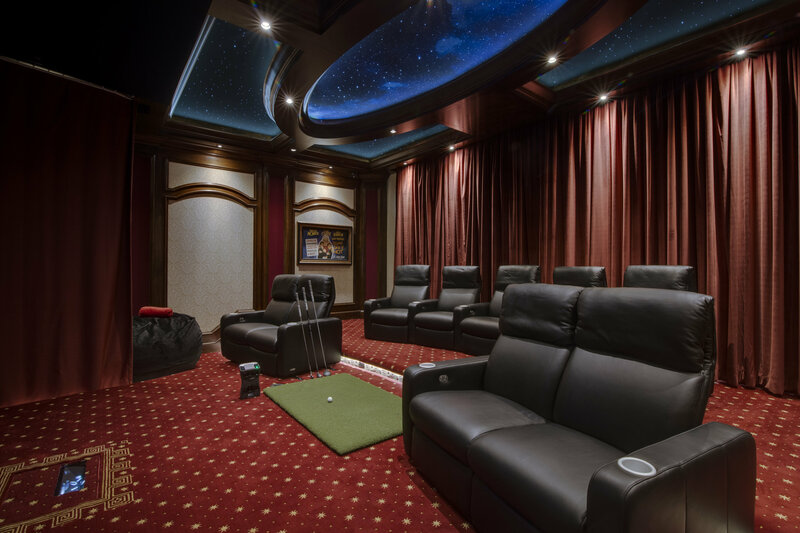 This client wanted to convert a standard exercise room into a quality multipurpose cinema room that doubled as a professional golfing simulation system. For both acoustical and light-blocking purposes, the wall-to-wall window along the back of the room required a heavy, motorized curtain. The owner also wanted to keep two existing doorways in the room but did not want them to be visible. Custom-made acoustic panels hide the doors and open with a press of a panel. 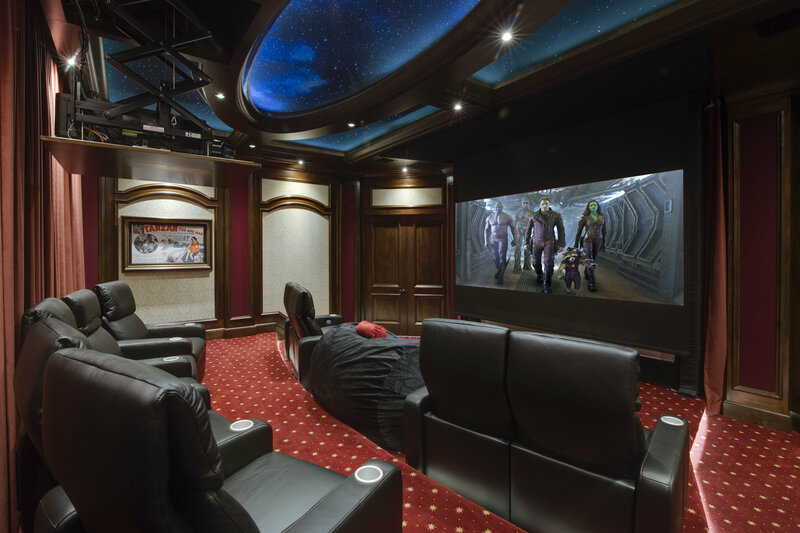 A cinema projector was mounted to a motorized panel in the ceiling. 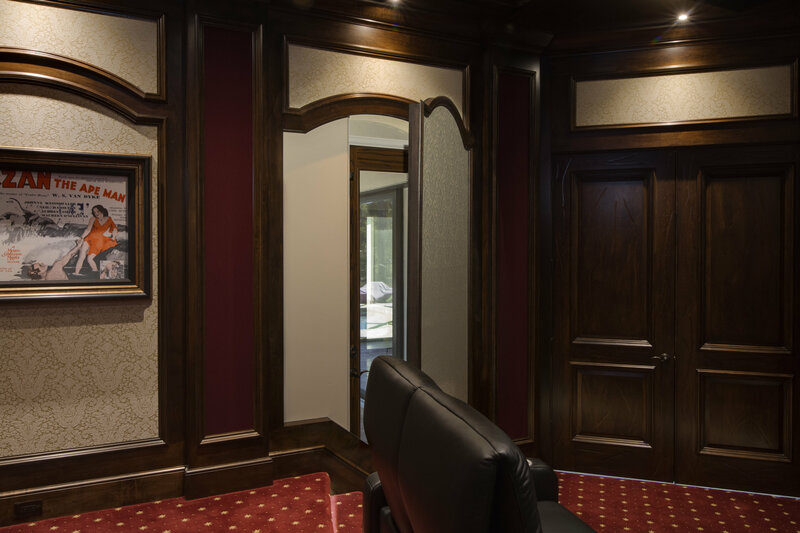 Speakers were hidden in the walls and ceiling throughout the room to create invisible, high-end cinematic sound. 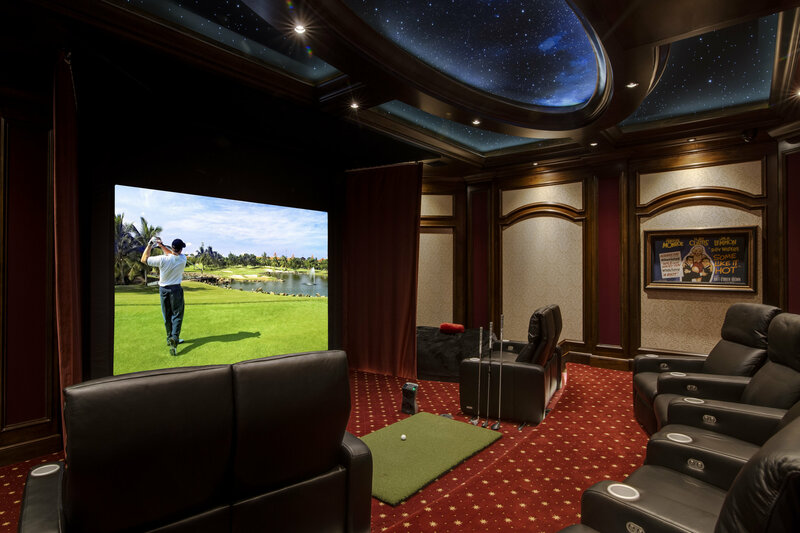 In order to make this room functional as both a theater and a professional golf simulator a permanent golf screen was installed 1 foot away from the wall so golf balls could drop to the floor. A special projector protected by Gorilla Glass was mounted under the stage floor where it could eliminate the problem of shadows cast from the main projector in the back of the room. A sliding platform allows the front theater seats to move sideways, providing room for golfers to swing their clubs. 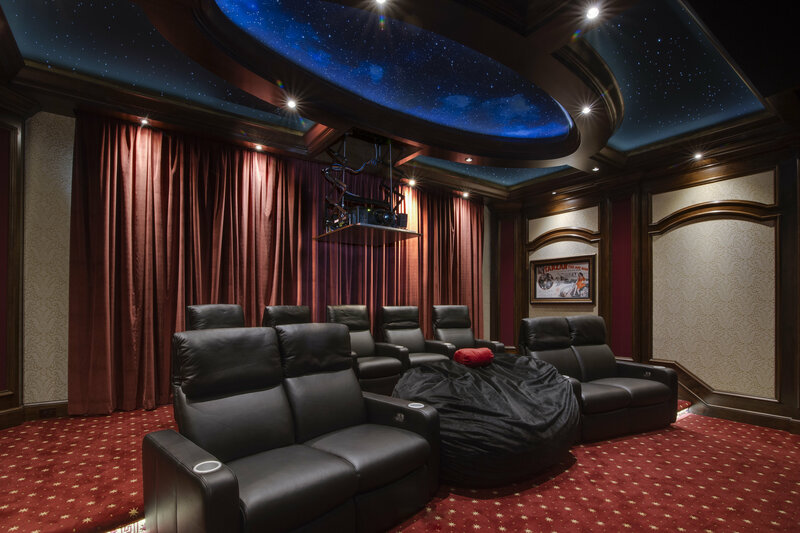 A motorized curtain comes out from both sides of the screen to catch any balls that might bounce out the sides. 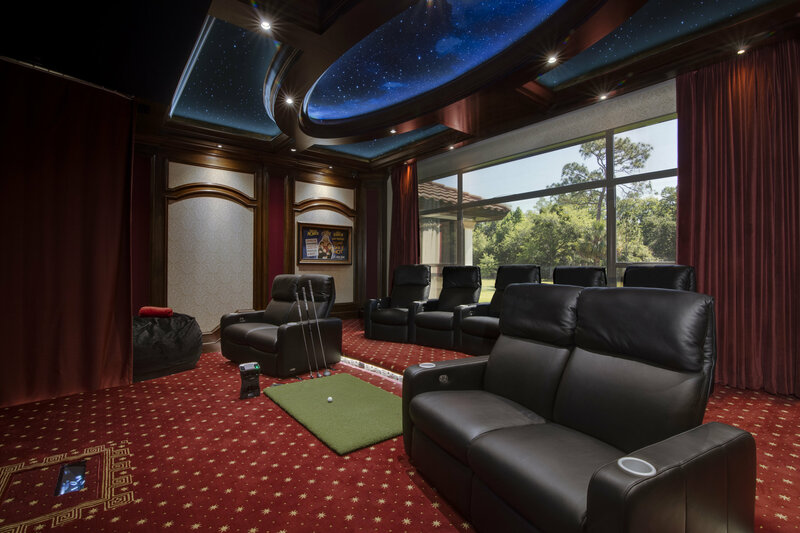 The result is a special, truly-custom room that serves beautifully as both home theater and professional golf simulator. Millennium Systems Design partnered on this project.